If you are constructing a new food premises or refurbishing your existing food premises, you will need to contact your local council or health department to ensure you comply with design and fit out requirements, before commencing any construction or refurbishment. You may be required to comply with the Australian Standard for the Design, construction and fit-out of food premises (AS 4674-2004). This Standard provides criteria on design and construction to assist with compliance with Standard 3.2.3 for new food premises and alterations to existing food premises. When Electrical and Plumbing rough-ins are complete, Gib or FC sheeting is glued and screwed on then THIS is the ideal time for us to do our application. Screws will be visible for us to identify the studs, noggins will then need to be identified before we can start. Each cavity will receive a 10-12mm drill hole half way up from bottom plate and one directly below noggin, both placed roughly in the centre. Same applies to the upper wall section, one half way up and the other just below the top plate. This is repeated for all walls in the scope of works. Spray Foam is injected in the 2 stages from bottom to top to ensure all voids/cavities are full to prevent access from cockroaches and weevils etc. Now complete, your guys can stop the entire wall to either sand, paint or Tile prior to kitchen equipment being installed. To enable cost effective and hassle free installation, this process needs to be done before the installation of: Tiles, splash backs, benches and sinks, kitchen equipment and s/steel sheeting. All wall sheeting to be glued and screwed for reinforcement strengthening. If you intend to sheet walls in thinner grade materials, please ensure you attach extra screws particularly around edges and joins. On completion and payment of job, a certificate of Compliance will be issued for you and your Certifier. Combined R-value of the insulation in wall cavity meets R-2.0 or greater as required by the energy efficiency report. Safe Food Australia AS 4674-2004 Construction and fit out of Food Premises commercial grade solid wall construction. Safe Food Australia AS 4674-2004. Construction and fit out of Food Premises commercial grade solid wall construction. Section J of the BCA. As moisture travels around your building in the warm moist air, it will leave during the air leakage process. As the air passes through gaps and traditional insulation material it will eventually reach the external cold surface where it will condense. This condensation will provide a home for mould growth and make dampness will occur than can later lead to the damage of the structure. 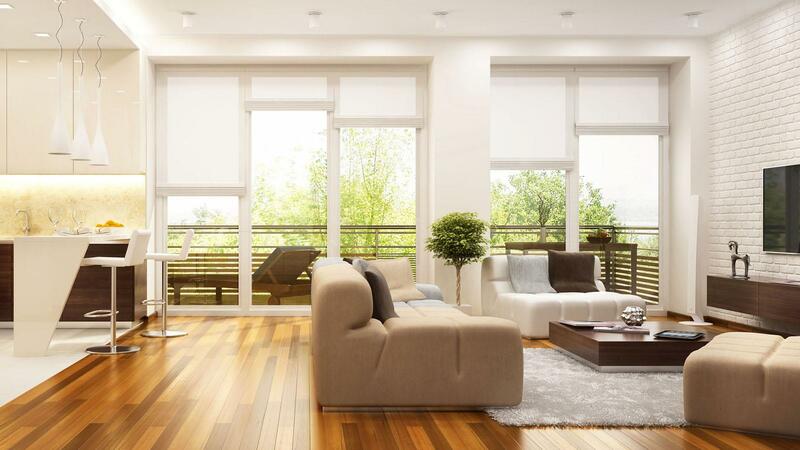 Icynene acts as an air and moisture barrier and will protect against the transfer of moisture, this will protect against condensation and mould issues. Roof insulation is traditionally made up of either fiberglass or foam boards. These styles of insulation can result in many issues for the owner and lead to energy loss. Here are some typical examples of these issues. Installation time can be excessive and often involve a large crew, lots of preparation is required and securing the insulation can be awkward. Traditional insulation will often move with time and sag, become dislodged and break the thermal efficiency of the product. Awkward angles, shapes and design features often make it hard to truly insulate the roof area efficiently. Human error can take place and a lot of wastage of the product can occur. Icynene can be installed far quicker than traditional methods so down time is reduced, access hire costs reduced and man labour hours saved when using Icynene. Icynene will not loose its shape over time, this means no sagging or creating potential air leakage areas within the building. 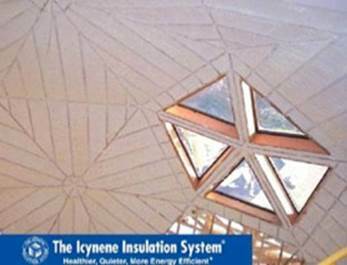 As Icynene expands up to 100 times its original volume it will fill all gaps, crevices and unseen areas that traditional insulation cannot cover. 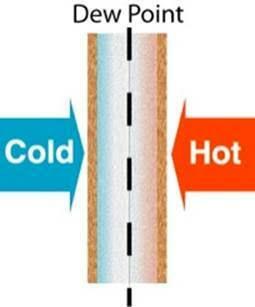 Compared to wood, steel is not a good insulating material; it actually conducts cold and heat. 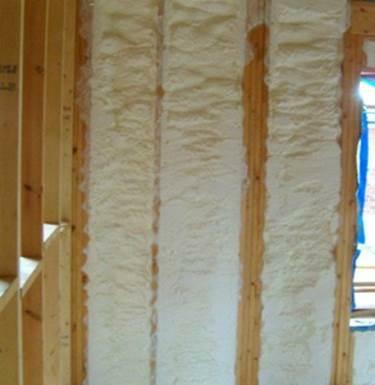 It is necessary to use additional insulation in exterior walls. Metal promotes condensation and over time will lead to drywall damage and discoloration if not addressed. In order to prevent condensation exterior walls require a moisture barrier beneath the drywall. Additional insulation and installing the vapour barrier add to the overall expense of choosing metal framing over wood. 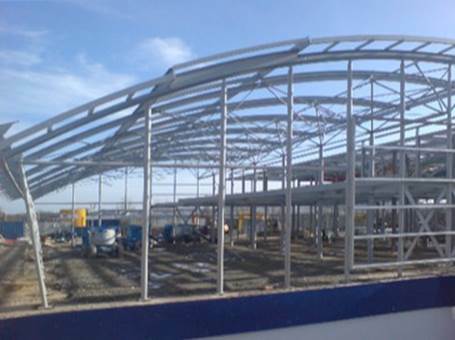 Often steel framed structures are great users of energy, this is due to all the thermal bridging across the structure between the inside and outside. Condensation will often occur on the steel structure is the temperature of the material is below the due point. Icynene provides the ability to break the thermal bridging and when applied to the steel structure it will not allow the warm moist air to touch the material below the due point, thus condensation not forming. Dew point is the temperature at which a dew will start to occur, this temperature is always colder than the current temperature. The dew point is effected by the moisture content of the air and the surface temperature of the materials it can come in to contact with. As the current temperature changes the dew point will follow. We can work out what level of insulation is required to stop this occurring by using a condensation risk analysis. This will be supplied along with a U-Value calculation before application takes place. Icynene's medium density spray foam insulation can be used to insulate below slab grade on your concrete floor. 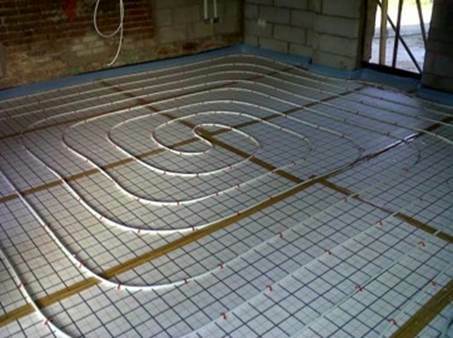 It can help provide a seamless thermal layer of insulate and won't be damaged during installation unlike traditional rigid insulation boards.